Updated: Feb. 11, 2019, 9:08 p.m. 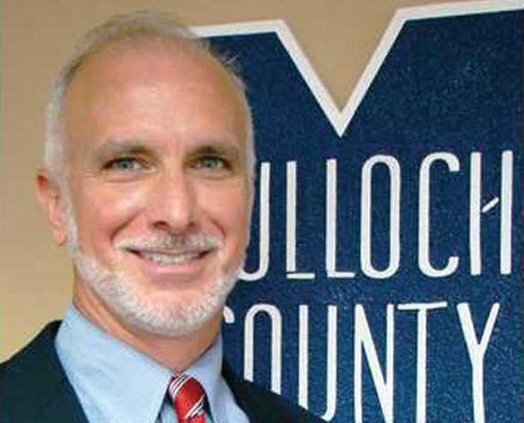 The Bulloch County school system will not be making any major changes to the QUEST gifted program in middle schools for next school year, Superintendent Charles Wilson said last week as he continued a series of parent input sessions on the subject. 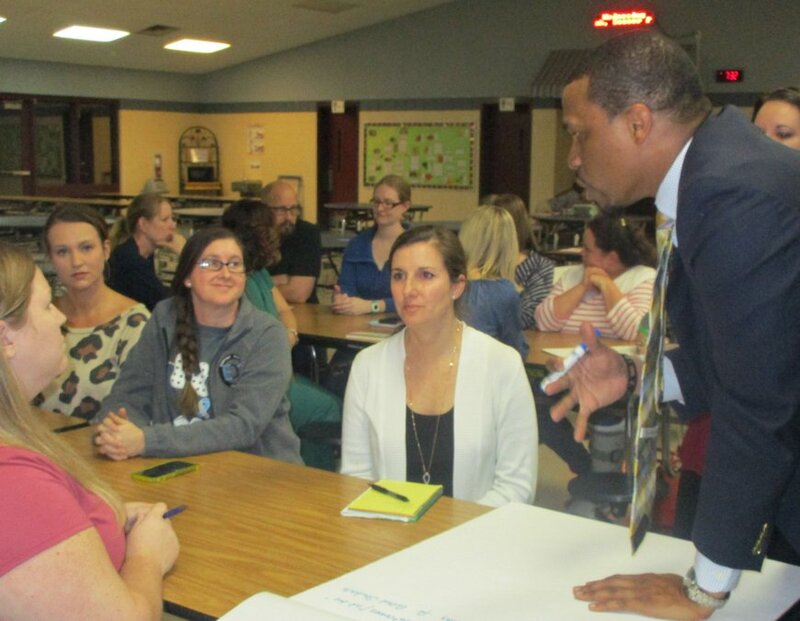 "No decisions have been made for next year, and we're not in a place for changing things right now," Wilson said in an interview during the Southeast Bulloch Middle School session Thursday night. "We need to do a lot more listening, thinking, talking, and then we'll just go from here." In other words, QUEST, featuring enrichment and project-based learning for students qualifying as generally "gifted," will not be replaced with a middle school honors program offering accelerated courses in English-language arts, math, science and social studies — at least not now. Many parents expressed interest in both continuing QUEST, with its more freeform emphasis on creative thinking, and also improving the accelerated core classes available. "We will continue to move toward honors classes wherever it's appropriate, but what we're not ready to do is shift from what we have now as 'gifted' to that and be exclusive in the decision, and I think that's what's clearly coming out is we like the idea of value-added, but not excluding one for the other," Wilson said. About 55 parents attended the Thursday evening meeting in the SEBMS cafeteria. Nearly 20 parents had participated in a similar session last Tuesday at Portal Middle High School. The series of input meetings continued with one Monday at Langston Chapel Middle School. One more such meeting will be held Tuesday, Feb. 12, at 5:30 p.m. at William James Middle School. The future shape of the gifted program will also be one of the several topics for the annual Speak Up for Education forum, 5:30–8 p.m. Feb. 28 at Statesboro High School. The school system's Director of Gifted Services Casey McNeely, Ed.D., had labeled the honors program proposal as "one new possibility" in a Jan. 24 presentation to the Board of Education. It was the only new possibility discussed in detail, amid information on the existing QUEST program and concerns about it and existing honors courses. By then, some parents were reacting to this as a change already set to take place. Then some school board members also objected to replacing QUEST with the honors program. In the parent meetings, Wilson has been taking responsibility for what he described as a lack in communication. "We have not communicated well enough, and I take full responsibility for that, on what we're trying to accomplish with rigor for all students, in this case gifted students, and so there is some anxiety and confusion that has erupted as a result, and completely understandable," he summarized after his remarks to parents Thursday. "So what we're trying to do is take this opportunity to slow down, regroup, involve everybody, get their feedback as to what we want 'gifted' to look like in this community," Wilson said. The middle school gifted program was considered for changes in the context of "proficiency scales" that the school system is continuing to develop to measure the progress of all students. After the opening remarks, participants in the SEBMS session were asked to form groups for brainstorming-style discussions. At the end of the meeting, the groups each identified two top concerns. "Our biggest concern is, if we're making changes, are we making them for the sake of change or are we making them with a known outcome that we know we're going to have more student success," said Jimmy Spargo, who served as spokesman for the first group to share. Spargo, who has one child in QUEST in seventh grade and another who went through the program and is now in 11th grade, both in the Southeast Bulloch schools, indicated he was in agreement with the group's views. This group's second concern was "QUEST versus honors" courses and the idea that QUEST might be eliminated. "We feel like with QUEST, there's a lot of rigor," Spargo said. "That's where they get their opportunity to really dig into things, where critical thinking happens, whereas when you look at honors, it's more work versus critical thinking. We don't see the rigor. We're seeing more of the tasks." As spokeswoman for the second group, Christy Hagan started out saying that its main concerns were the same as those of the first. Accompanied by her daughter Tana, 14, who is now in ninth grade after having taken QUEST through middle school, Hagan has another child in QUEST at Nevils Elementary who plans to continue in the gifted program at Southeast Bulloch Middle. "We do not want to lose the value of QUEST, which is that there's a creativity piece that goes away when you get to honors," Hagan said in agreement with other parents at her table. "Honors is more academically focused, and QUEST allows them the freedom to critically think and think outside the box and gain confidence, and we don't want to lose that." In the end, five out of the six groups Thursday expressed this one concern, that the creative element in QUEST would be replaced with more work — or some said a focus on testing — in honors courses. The other group expressed a desire for "more purpose-driven QUEST content" but also "rigor in the honors classes." Because the honors courses would be in core subjects, they would not take up one of a student's two opportunities each semester for "Connections" classes, as middle school electives are called. This was another reason central office planners identified for considering a change. One group of parents in the SEBMS meeting listed the fact that "QUEST does limit other opportunities when it is counted as a Connection" as a second concern. Some parents have alleged that the school system was looking to end QUEST for cost-saving reasons. But McNeely said the suggested honors program would receive about the same state funding based on enrollment and have similar costs. "As far as the options that we have shared as possibilities, we have looked at the potential implications for financing, and they are fairly similar," McNeely said. "Cost really is not a factor for our decision at all."